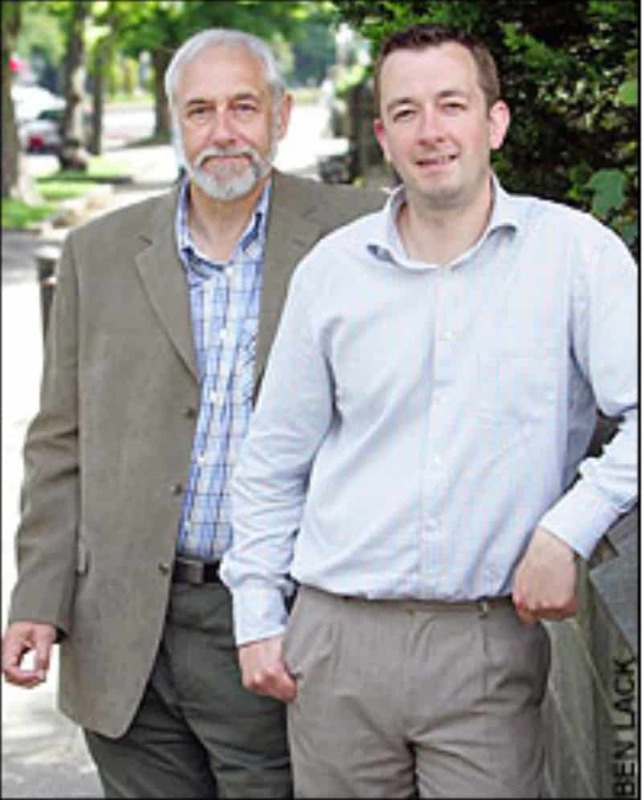 David Whelan, 53, and his son, Andrew, 37, love spending time together. 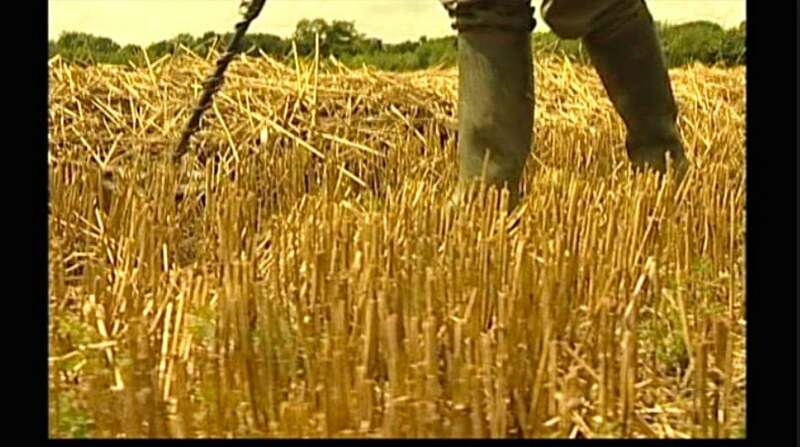 One of their favorite pastimes is going to open fields with their metal detectors. They love to go searching and hunting for buried treasure! 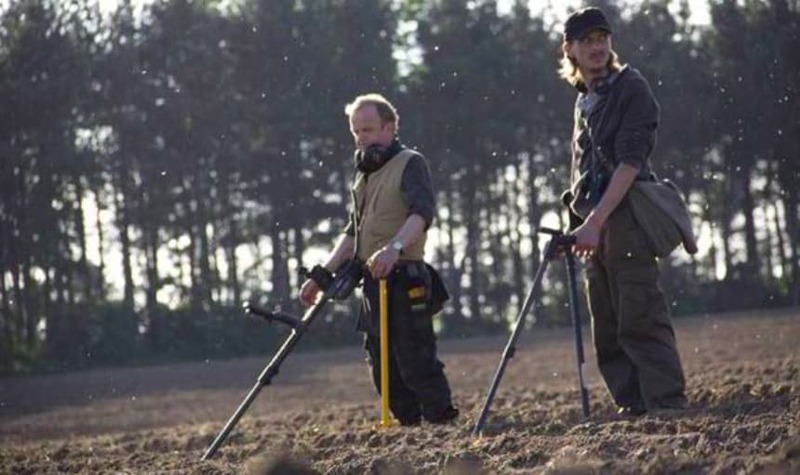 For many years, the father and son metal detector team would go out into random fields in Britain. Throughout those years they found a few things here and there, but never anything spectacular. However, all of that would soon change when they came across an outstanding treasure. 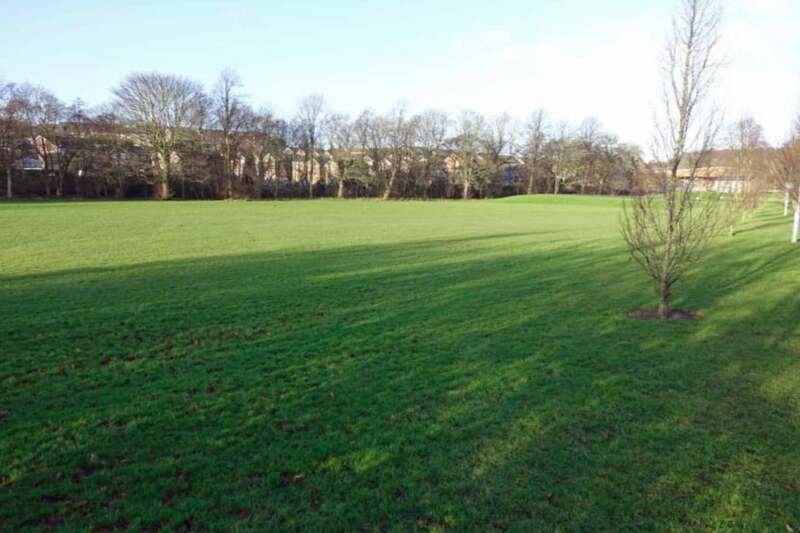 David and Andrew decided to head out to an open field in Harrogate, a spa town in North Yorkshire, England. They pulled out their metal detectors and began to walk around the field. For a while they weren’t really picking up on anything. As the men continued to walk around the field, one of their metal detectors began to sound off. They were thrilled at the prospect of finally discovering something. The two of them quickly got to digging in the area that the metal detector went off. As the men began to dig, they came across a single coin close to the top of the grass on the field. At first, they figured that this would be a sufficient find for the day. After all, they had never come across a coin like this before in their past digs. However, something prompted the men to keep digging. So the two of them continued to dig and dig until they came across something extraordinary. 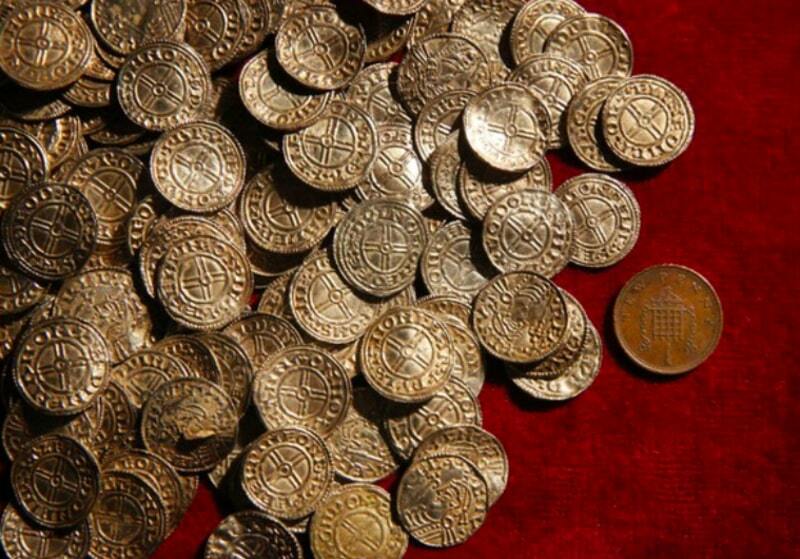 Staring them in the face was a huge buried treasure of gold and silver coins. The men were shocked by what they had just come across. 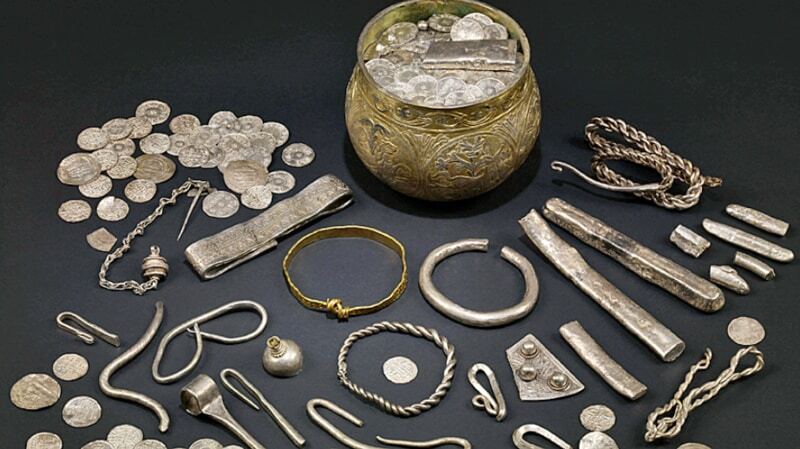 The treasure that they came across happened to be a Viking hoard of jewelry. 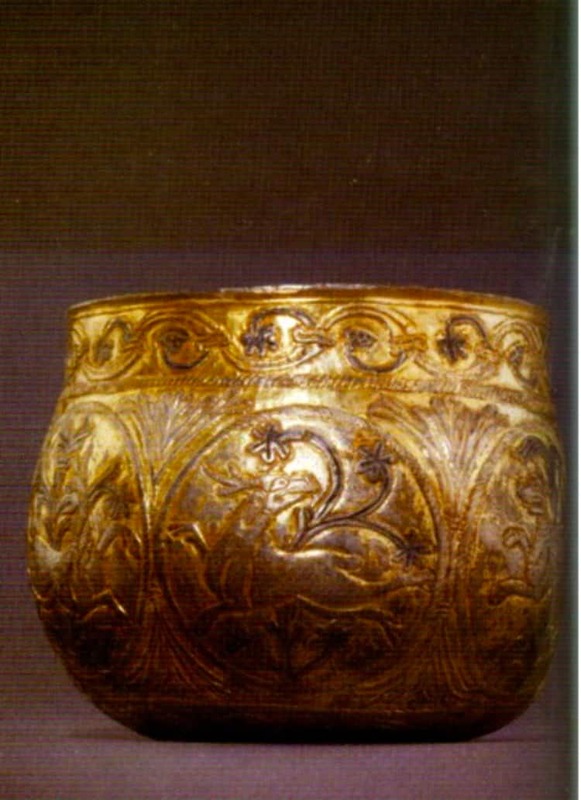 It seems that the treasure had been buried for over 1,000 years! The men knew they had to alert someone to this amazing discovery. 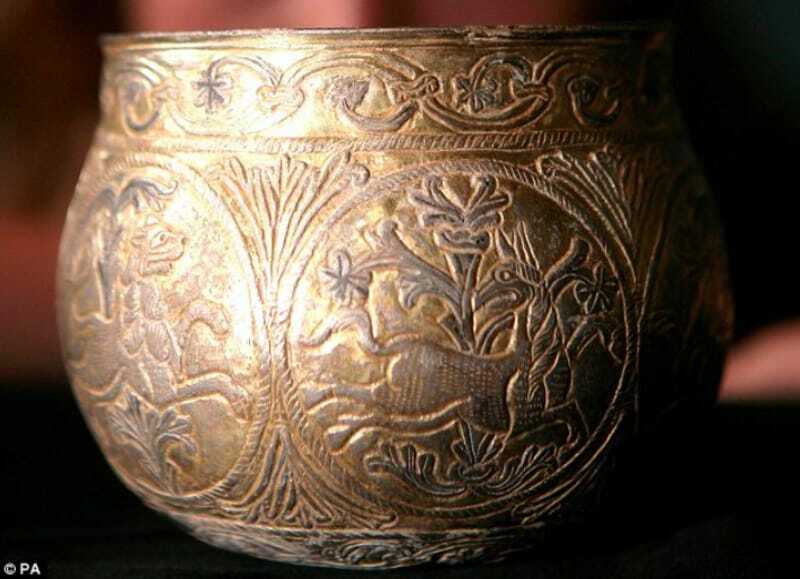 Experts that looked over the treasure have valued it at £1,082,000. Eventually, the treasure was eventually purchased by the British Museum and the York Museum Trust after two years of fundraising. 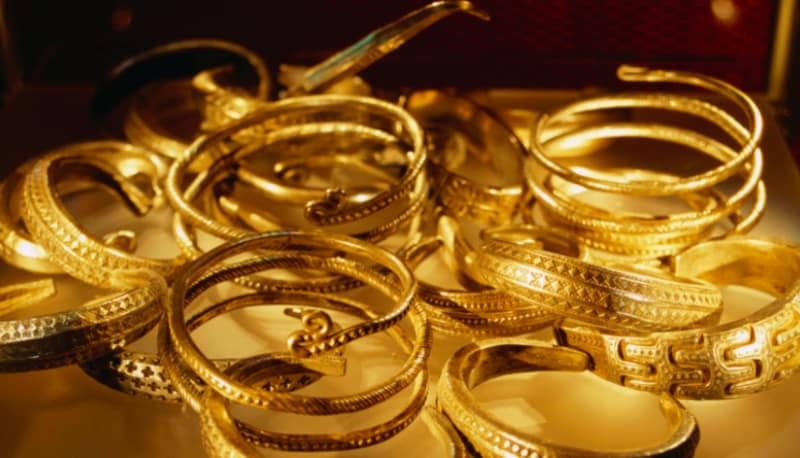 However, the Whelans are expected to keep half of the value of the treasure along with the owners of the field. 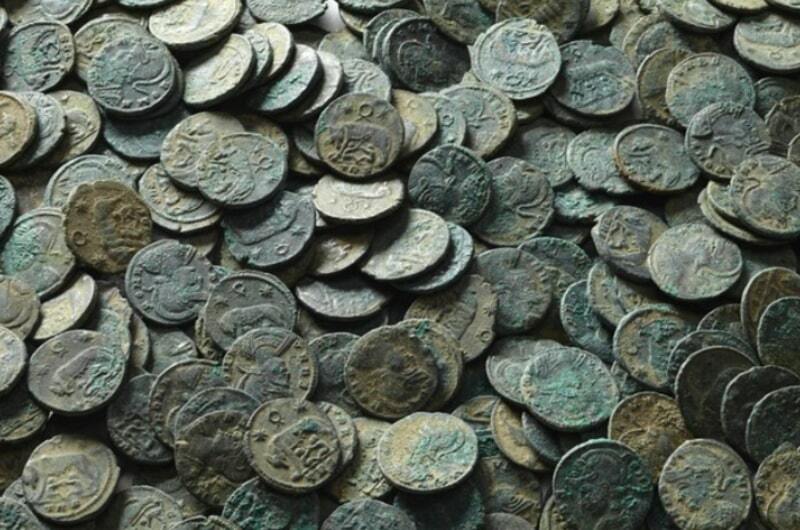 Inside of the treasure hoard, there were 617 silver coins. 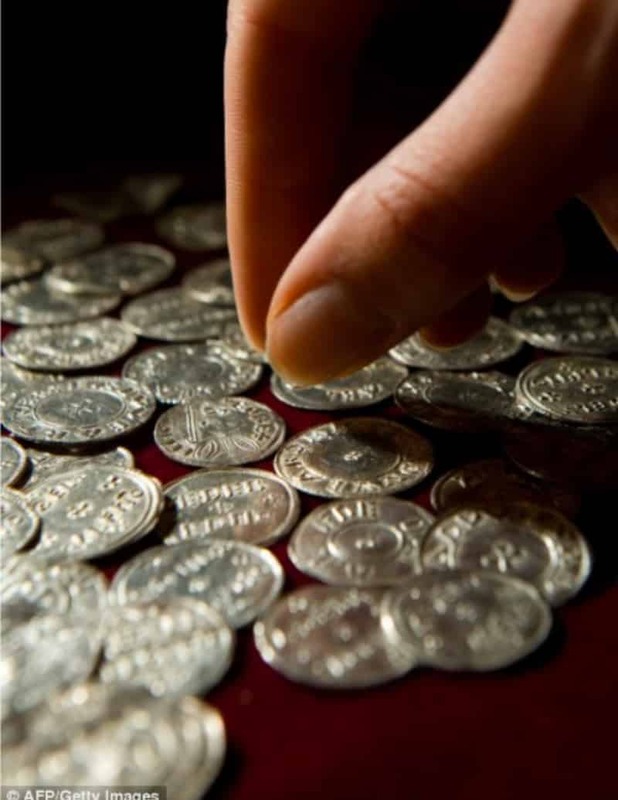 All of these coins and various treasures happened to come from a variety of different countries. Some of the countries were Afghanistan, Russia, Ireland, and Scandinavia. So who did the treasure belong to? 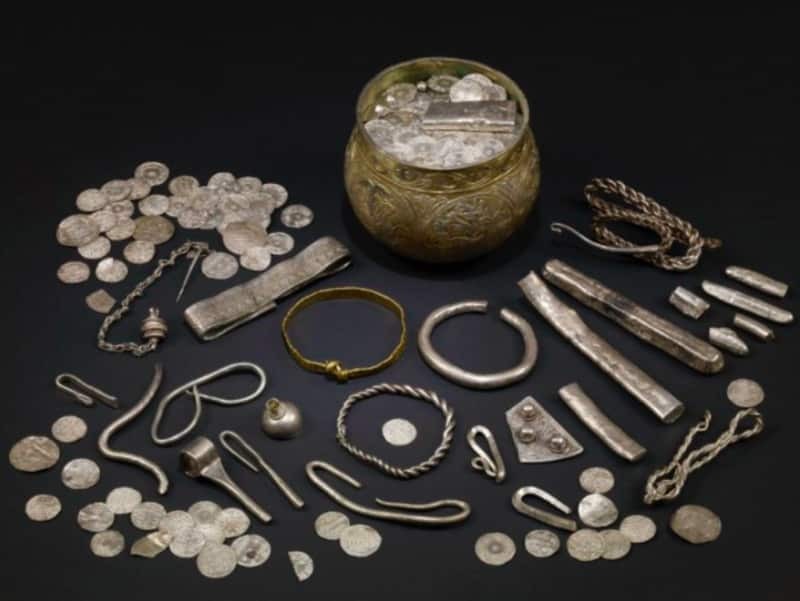 It is believed that the treasure originally belonged to a very rich Viking. 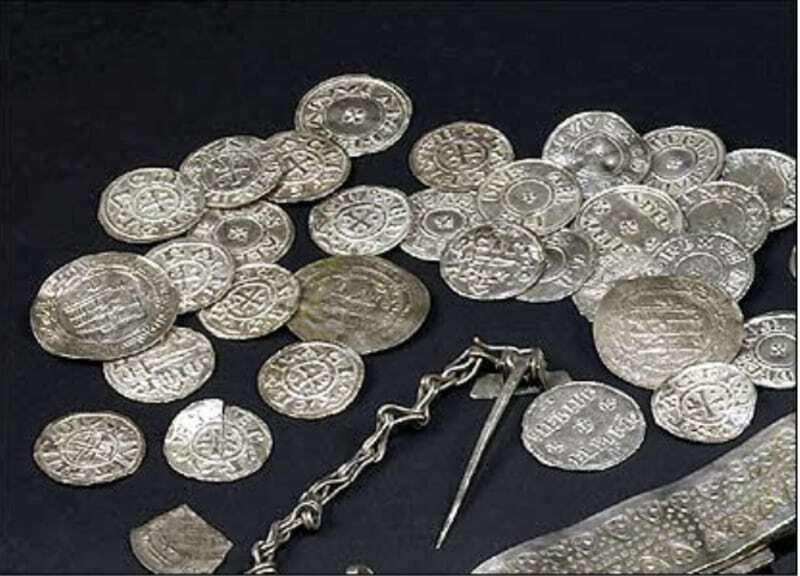 It is believed that he buried the treasure during the unrest following the conquest of the Viking kingdom of Northumbria in 927 by the Anglo-Saxon king Athelstan. Since it would have been dangerous to return, the rich Viking was never able to go back for his treasure. Conservation work on the treasure started around a month ago. 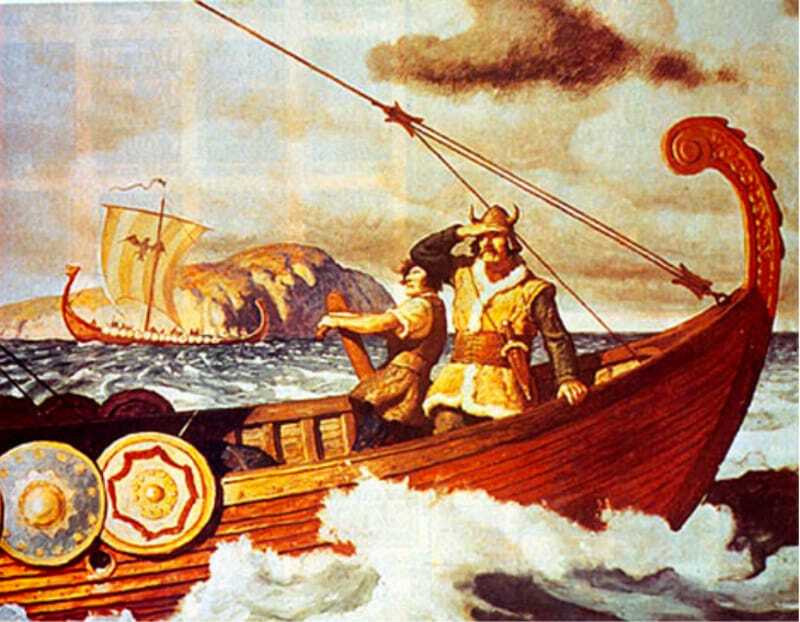 Experts hope that by studying the treasure that they will be able to better understand the Viking era. They may be able to piece together clues in order to have an insight into the history of that era. So far, experts have been able to see quite intricate design details on the coins. These designs weren’t visible when the treasure was first discovered. However, now with the help of a microscope they could see just how finely detailed they are. 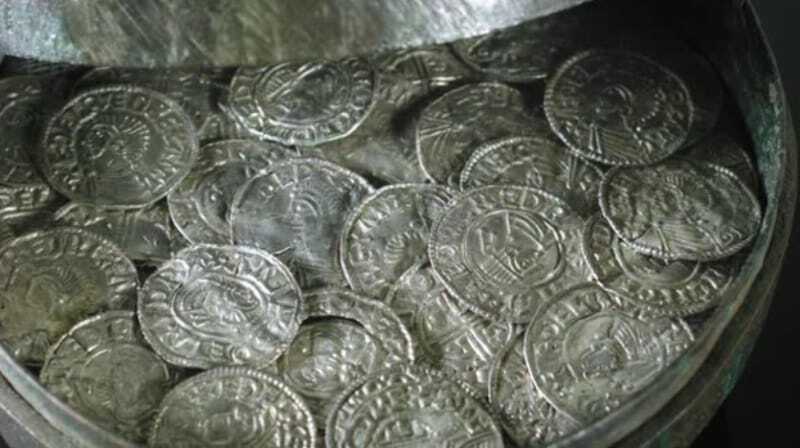 “The Vale of York Viking hoard is a once in a lifetime find. 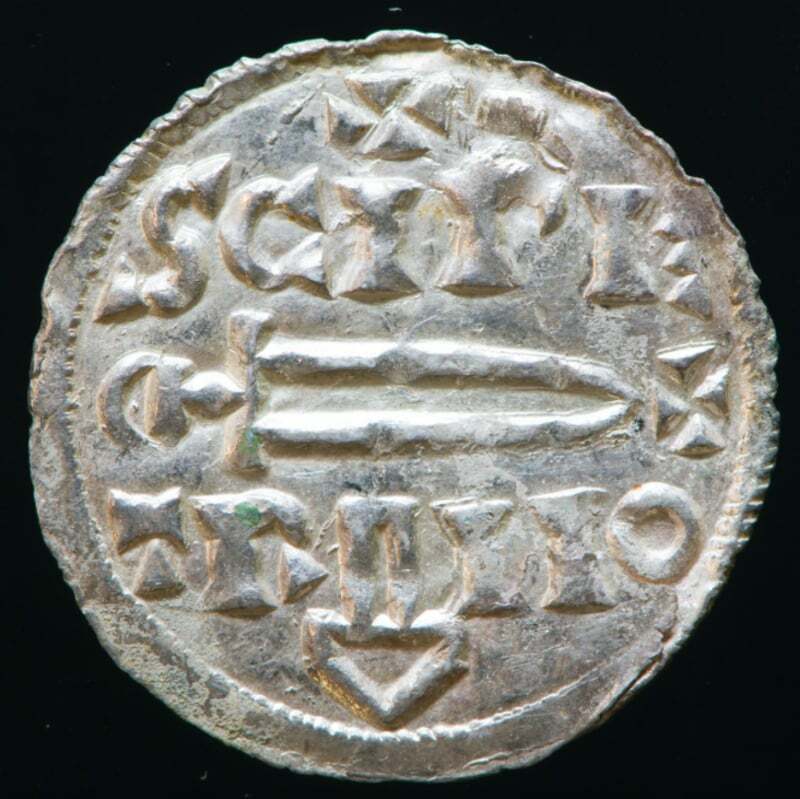 It will greatly add to the understanding of the early 900s in Yorkshire and its connections with the wider world,” explained Mary Kershaw, director of collections at York Museum. Soon all of the treasure will be out on display for the world to admire. 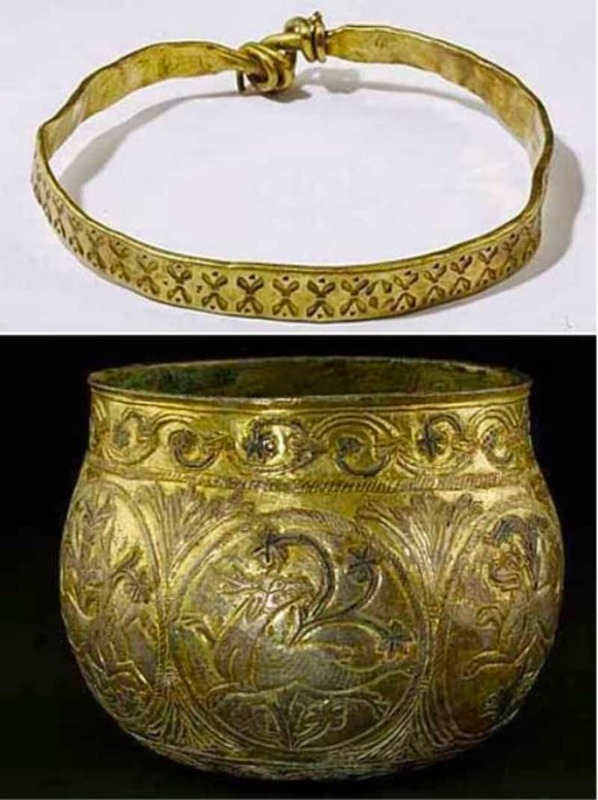 According to recent news, the treasure is set to be on display at the Yorkshire Museum in York from September 17 until November 1. It will then travel to the British Museum where it will be placed on display there as well. Many people are already getting in line to be able to see the treasure. David and his son Andrew never would have expected to find a Viking treasure hidden so far deep in the earth. It just goes to show that will a little persistence and elbow grease, just about anything is possible!